WINTER SOLDIER: THE BITTER MARCH #1 Returns For a Second Printing! Are you sensing a pattern here? All-New Marvel NOW! is a hit and the latest adventure of Bucky Barnes has critics, retailers, and fans talking! 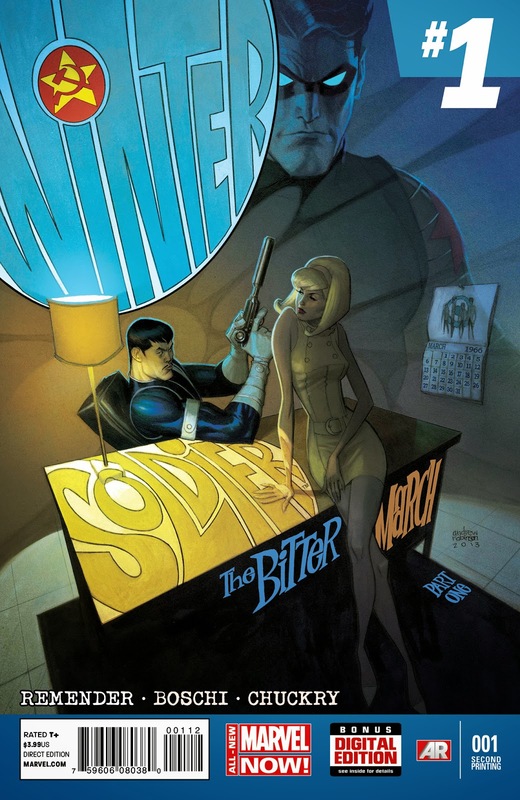 And today, Marvel is pleased to announce that WINTER SOLDIER: THE BITTER MARCH #1 has sold out at the distributor level (though copies may still be available at retail level) and will immediately return to press! Spinning out of the best-selling Captain America series, blockbuster writer Rick Remender and artist Roland Boschi craft a tale of action, adventure, and espionage that hast to be seen to be believed! NOW is the chance to jump aboard one of the hottest new series in comics asWINTER SOLDIER: THE BITTER MARCH #1 explodes back into comic shops this March!